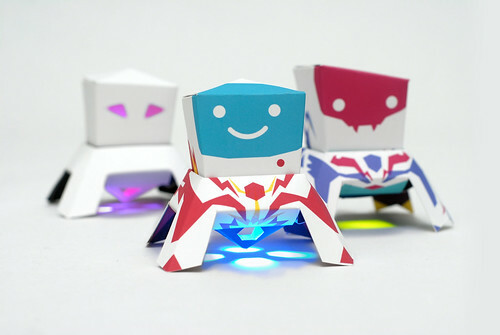 Papertronics are paper toys with paper electronic circuits in them. The Lunar Landers come in a pack of three. Spaceboy, Alien Girl and Tabula Rasa. Tabula Rasa is blank and can be designed by you. Turn them into a cool night light, party lights or a fun additions to a room or desk. When the spaceships are put in their landers one way, they light up. Turn them another way and they are off. Fold them yourself- they come pre-cut. 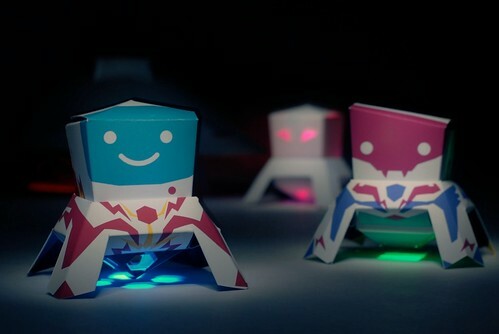 Fun DIY with paper and electronics. 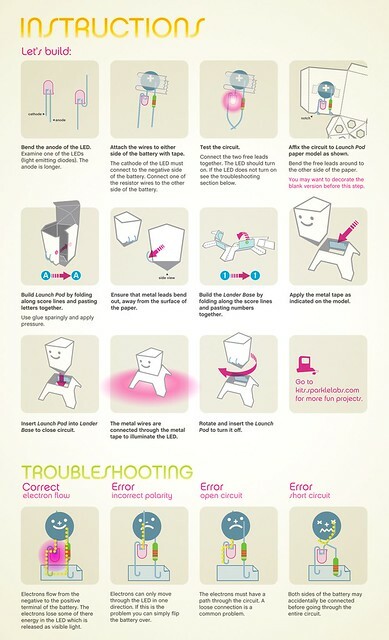 With clear instructions, Papertronics are a great introduction into making and hacking as well as basic electronics. Available for sale here. LunarModules, a set on Flickr. This entry was posted in Product on October 18, 2011 by Ariel Churi. Sparkle Labs has variety of products for educational use. Including Arduinos, USB cables, LEDs, and coin cells. We can create a bundle for your needs. 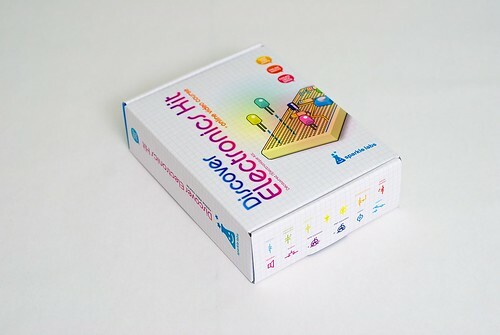 Our Discover Electronics Kit is great learning tool for an after school teaching environment. Students and teachers can follow the online video lessons. 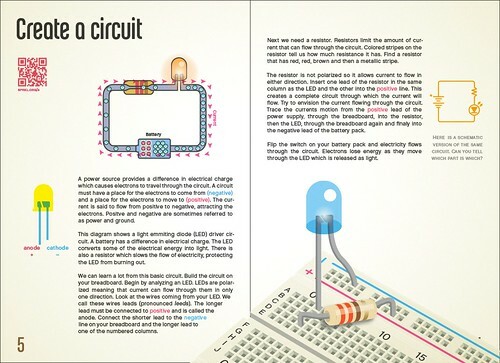 The kit covers basic concepts as well as lessons on the most common components and moving into more advanced circuits. 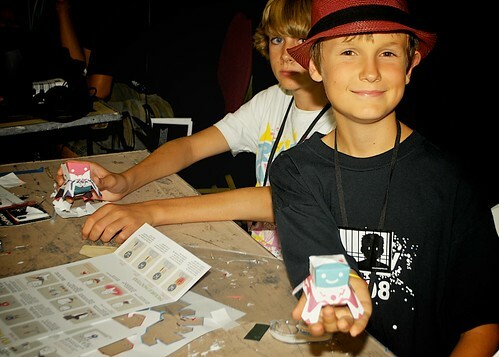 Lessons are invaluable in learning the electronics that aid in using microcontrollers, like the Arduino, and with sensors and robotics. We are working on teachers aids and we post new projects for use with the kit. Join our mailing list to keep up to date. Discover Kit 2, a set on Flickr. We also have a wide variety of LEDs and other components packaged for educational use. As well as new products in the pipeline. Please contact us at edu AT sparklelabs DOT com with questions and for educational pricing. This entry was posted in News, Site Message on September 23, 2011 by Ariel Churi. 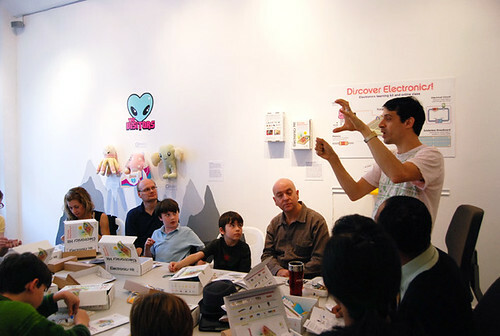 Sparkle Labs is made up of designers and teachers. 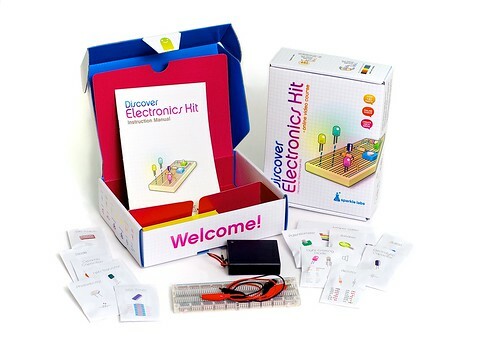 Our Discover Electronics Kit is designed to make learning electronics easy and fun. It is a curated selection of the basic parts to get started and learning right away. They are standard components and are still useful when you are ready to build your own projects. 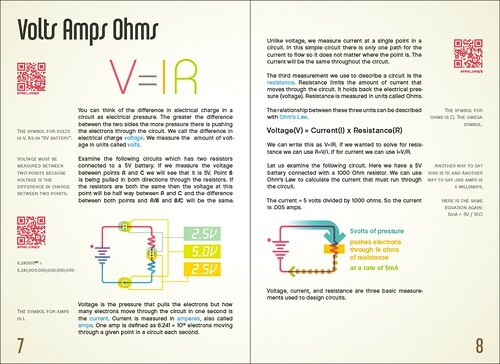 More then just a kit, it is an online, video course which you can access here: Discover Electronics Course. 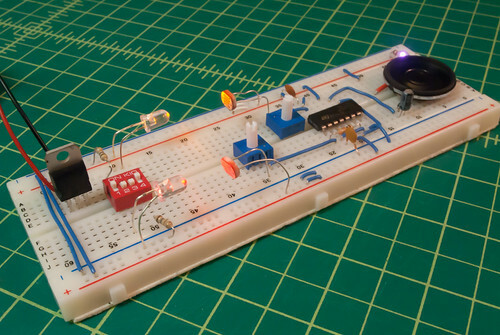 The kit comes with clear, solderless breadboard and a simple battery pack. Clearly labeled parts and simple directions means you can have your first circuit up and running in minutes. The manual explains whats going on inside. Illustrations aid in understanding. Not just an electronics kit; online resources turn the kit into a video course pack. Double check your work against the photographs. We have additional projects available on this site and we are adding more projects and lessons online. You can purchase the kit as well as other products here. This entry was posted in Product on September 11, 2011 by Ariel Churi. 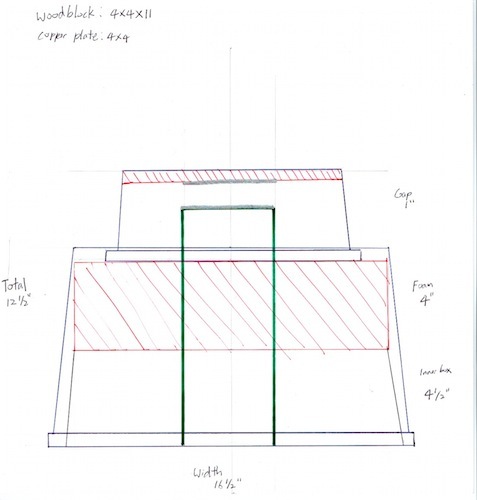 We went through a many possible designs but with the short time frame we decided to look for a pre-made enclosure. 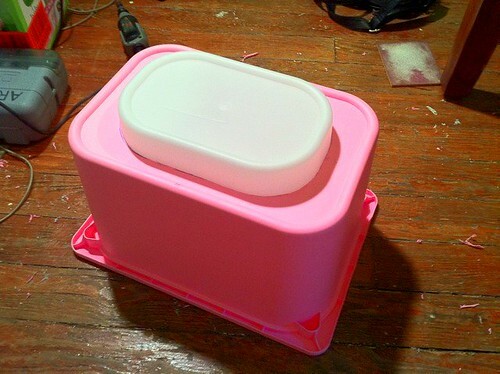 A quick trip to Ikea uncovered nicely colored storage containers that can fit together into a button that is 13″ tall. Next to them were some Ikea shelves which are the same size that we can use as a base. Next we needed to choose the internal components. The most important part is the spring. We will use mattress foam for the spring. It is durable and will provide stability as you push down the plunger. We will use copper sheeting for the contacts. One contact will be glued to the top and the other will sit on top of a 4×4 piece of lumber. I think this design will be durable, look good, and play well. The game requires four buttons. We will have the four buttons connected to one another by a wire but have them wirelessly connected to the computer. So that is the plan. 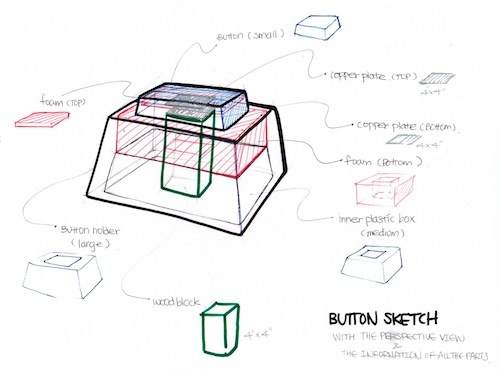 Stay tuned for our next post where we will take you through building the buttons. This entry was posted in Project on August 31, 2011 by Ariel Churi. BUTTON @MoMA, a set on Flickr. We completed the buttons and they were a big success. The game B.U.T.T.O.N is the best party game I have ever played. Stay tuned for a tutorial on how to make your own giant buttons. This entry was posted in News, Photos, Project on July 28, 2011 by Ariel Churi. Kill Screen is curating a MoMA PopRally and asked us to make some buttons for a couple of their games. They want giant buttons which sounds like a fun way to play games in a public space. One of the games is called B.U.T.T.O.N and is from Copenhagen Game Collective. 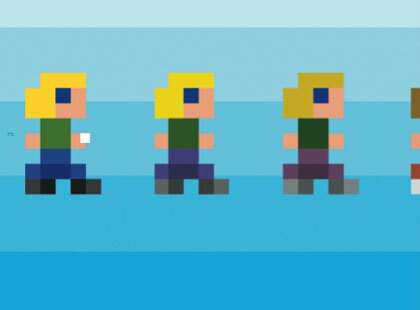 I have yet to play the game but it seems to be much more about your physical relationship to the buttons and the other players. The second game is Canabalt from Adam Atomic. This is a single player, side-scroller that is played with a single button. It is surprisingly fun and requires a subtle touch on the button to control the height of your jump. These buttons will up for two months and I am a bit concerned about the durability. We will design and build the giant buttons in upcoming posts. This entry was posted in News, Project on July 10, 2011 by Ariel Churi. Version 2 of our electronics kit is a bit behind schedule. We are putting some finishing touches on it and could not resist adding even more improvements after getting the sample. It should be all ready in just a few weeks. This entry was posted in News on June 14, 2011 by Ariel Churi. 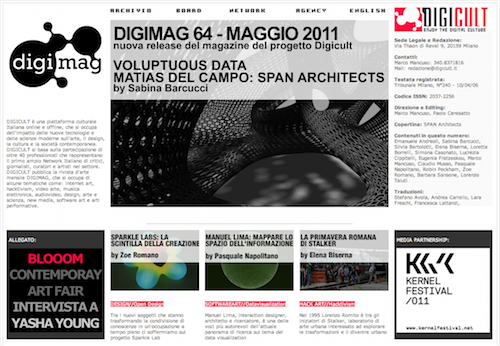 Zoe Romano did an article on us for the Italian magazine Digimag. This entry was posted in Press on May 5, 2011 by Ariel Churi. 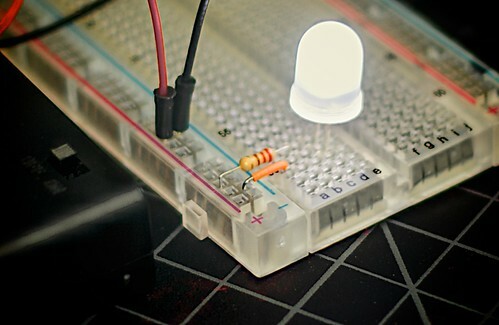 LEDs, a set on Flickr. These will be available soon in the shop. This entry was posted in Photos and tagged LED, product on May 3, 2011 by Ariel Churi. Sal Cangeloso posted this cool time lapse video on Geek.com. Update: Part 2 is up from geek.com! This entry was posted in Press and tagged electronics kit, product on April 12, 2011 by Ariel Churi.